Deep sea explorer and NUMA director Dirk Pitt encounters the last direct descendants of the Ottoman dynasty as they prepare to incite a revolution in this novel in the #1 New York Times-bestselling series. In A.D. 327, a Roman galley with an extraordinary cargo barely escapes a pirate attack. In 1916, a British warship mysteriously explodes in the middle of the North Sea. In the present day, a cluster of important mosques in Turkey and Egypt are wracked by explosions. What ties these events together? 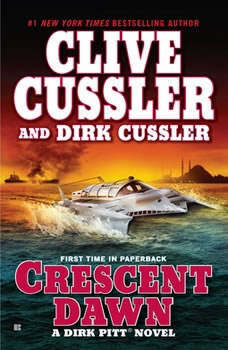 Dirk Pitt and his team are about to find out, as artifacts discovered in Turkey and Israel connect to the rise of a fundamentalist movement determined to restore the glory of the Ottoman Empire—and to the existence of a mysterious, long-lost “manifest,” which, if discovered, could change the history of the world as we know it.